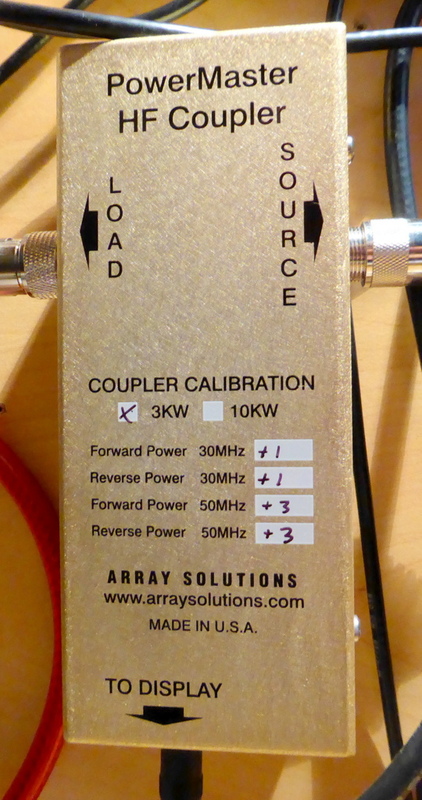 I have been using the Power Master 2 watt meter (PM2), from Array Solutions, and a HamPod, from Rob K6DQ, for a couple of years. The PM2 and HamPod combine to give a blind operator a talking Power and SWR meter. Initially, the purchase could be seen as an indulgence, particularly as I also own the LDG TW-1 talking watt meter, but I had a particular requirement, as I wanted to automatically and instantly stop the amplifier from transmitting if there was a mismatch or high VSWR in the system. The PM2 meets this safety requirement, by being inserted into the electrical PTT loop to the amplifier. If the loop is broken, the amplifier is prevented from transmitting. I have several items in the loop and if any one of them is adjusting or has a problem, the electrical circuit is broken. My PTT loop includes the PM2, the amplifier, the auto ATU and the SteppIR antenna. When a predefined power or SWR value Is exceeded, the PM2 issues an alarm and the loop immediately goes ‘open circuit’. As I use a SteppIR antenna, the elements automatically adjust to the correct length, and there is normally no need for an ATU. I wanted to be able to switch from band to band, have the antenna adjust, the amplifier automatically switch to the correct band and then be able to transmit without further thought. The PM2 gives me the confidence to do this. I know that if I’ve made a mistake or there is a mismatch or technical issue, the alarm will sound and the amplifier will be by-passed. Of course, as well as the safety features of the alarms, the PM2 also gives you accurate readings for Forward and Reflected power and SWR. It is also highly configurable. In practise, I find I am using the PM2 continuously while I am operating. It is a real pleasure to have accurate measurements available, and as the RF power output from the amplifier will vary slightly from band to band, it is great to be able to make sure I’m transmitting up to the power limit, but not over it. The PM2 is not accessible to a blind operator without the addition of the HamPod. 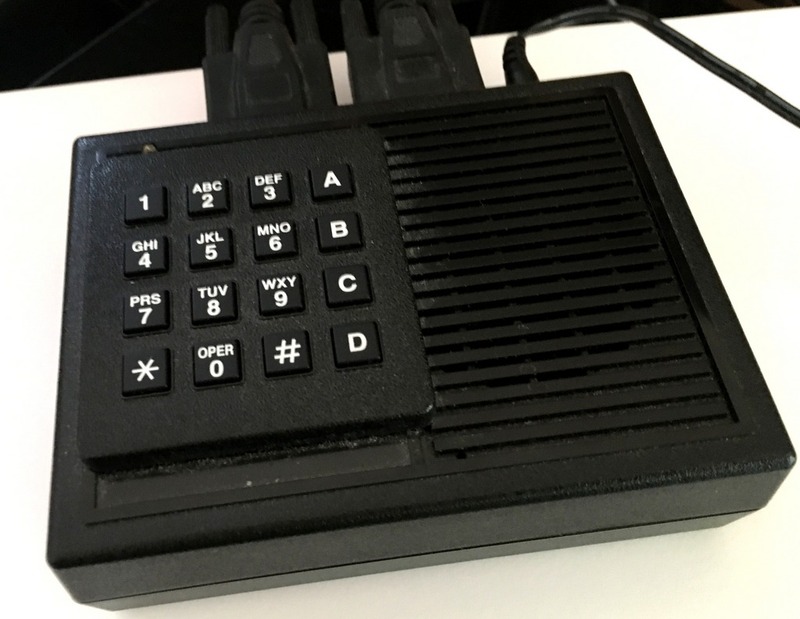 This accessibility evaluation is therefore about how the HamPod interacts with the PM2 and how the visual alarms and configuration are converted to aural tones and speech output. 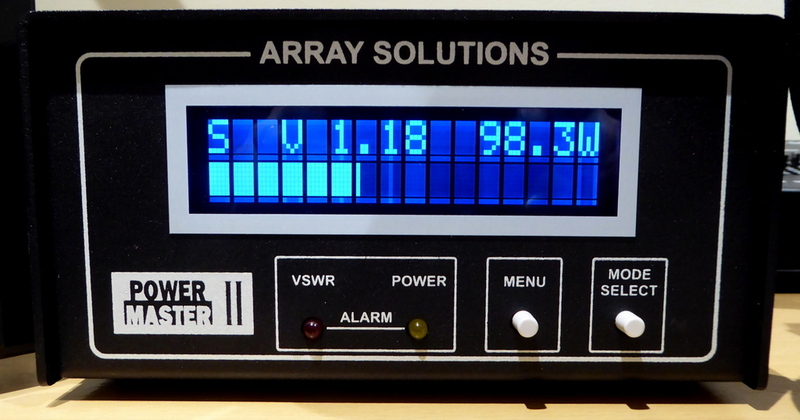 “The pm2 display indicates swr and power simultaneously. Power is displayed by a fast moving bar graph and numerical displays above this show power and swr. The bar graph is ideal for tuning as peaks in power can be easily followed. The coupler can be sited remotely from the meter connected via a screened audio jack lead. Two couplers can be used with the meter ranging from 3 to 10KW maximum power. Each is supplied with calibration offsets which when set up in the meter menu ensure accurate results. Despite the high 3KW of the lower power coupler, the meter senses maximum power in use, to ensure the bar graph always displays a high resolution, with many segments illuminated whether the power is 50 watts or 3kw. Also on the front panel are two leds that light up when swr or power exceed preset settings. The alarms can also break the ptt line to avoid any damage that may occur. Settings can be adjusted via the menu button on the front panel. Writing this review, it seemed like a very good idea to reread the documentation for the PM2 and HamPod, and the first thing that struck me was the joy of having the HamPod manual in text format! Quite refreshing not to have to convert documentation, so it can be read by a PC screen reader. The Power Master 2 is a useful addition to the shack, and highly desirable for anyone running high RF power from an amplifier. When combined with the HamPod it becomes very accessible for a blind user, and Rob K6DQ has again done an amazing job in making the meter ‘talk’. I know that Array Solutions were very helpful in tweaking their firmware, so Rob could have full compatibility between the devices. The result is superb! I would encourage you to listen to the audio demonstration to learn if the PM2 and HamPod combo will meet your requirements, and if it does, you have the knowledge that it can be fully used by a blind amateur.